This Place of Worship was founded in 1859, and we understand it is still open. The MIs from St Mary's churchyard were transcribed by Mike Berrell in 1996 and published on microfiche. Copies are held by the Manchester & Lancashire Family History Society, Stockport Local Studies Library, the Society of Genealogists, and the Genealogical Society of Utah. 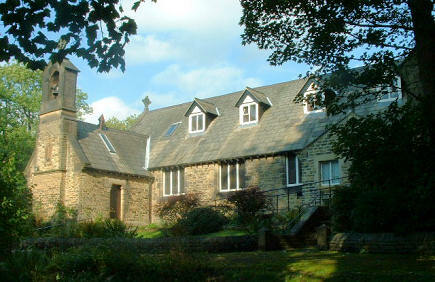 Prior to the church's foundation, in 1859, the congregation was served by St Mary's Catholic Church in New Mills. St Mary's Catholic Church, Marple Bridge shown on a Google Map. Information last updated on 17 Nov 2010 at 13:54. Please also remember that whilst the above account may suggest that St Mary's Catholic Church remains open and accessible, this may not remain so. This Report was created 28 Mar 2019 - 21:48:02 GMT from information held in the Derbyshire section of the Places of Worship Database. This was last updated on 6 Feb 2019 at 15:49.